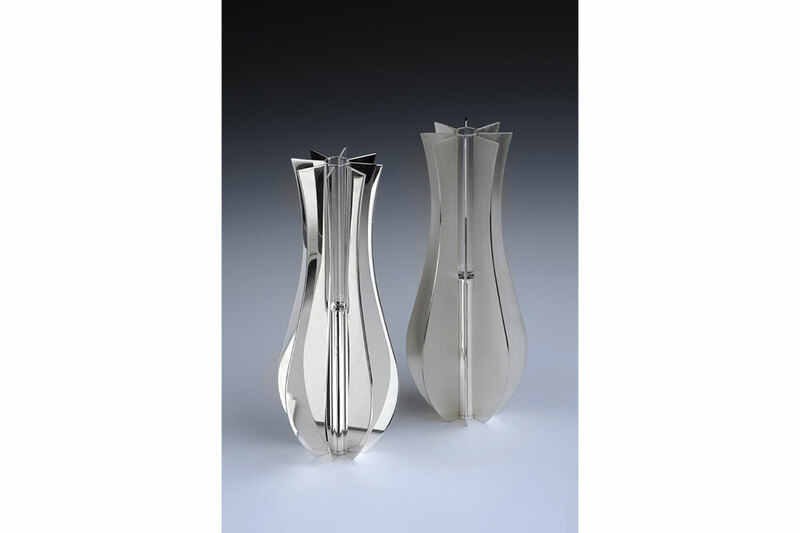 Award winning designer Benjamin James Ryan specialises in designing and producing bespoke pieces of contemporary silverware, jewellery and public art. His work has a significant engineering influence used to create beautifully functional and practical items. 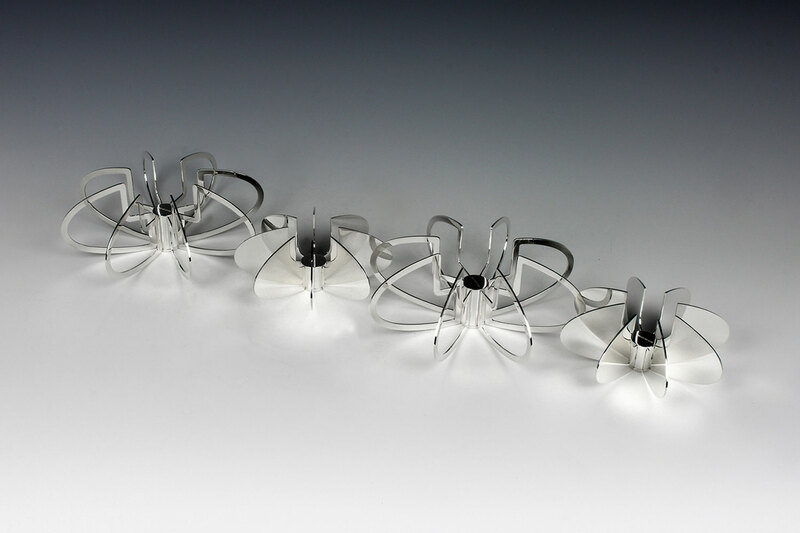 His bespoke range of hand crafted silverware and jewellery employs the use of both traditional making skills as well as cutting edge new technologies, such as ‘Water Jet Cutting’, ‘3D Rapid Prototyping’ and ‘CNC Milling’. Ryan’s design ethos is largely based around packaging pure luxury into seemingly simplistic contemporary pieces of design. He strives to invent new products using precious metals, often paying homage to iconic design forms, using either a functional or aesthetic twist. Ryan is based in The Goldsmiths Centre, Clerkenwell London, with his studio and workshop space located on the boarders of Bedfordshire and South Cambridgeshire. 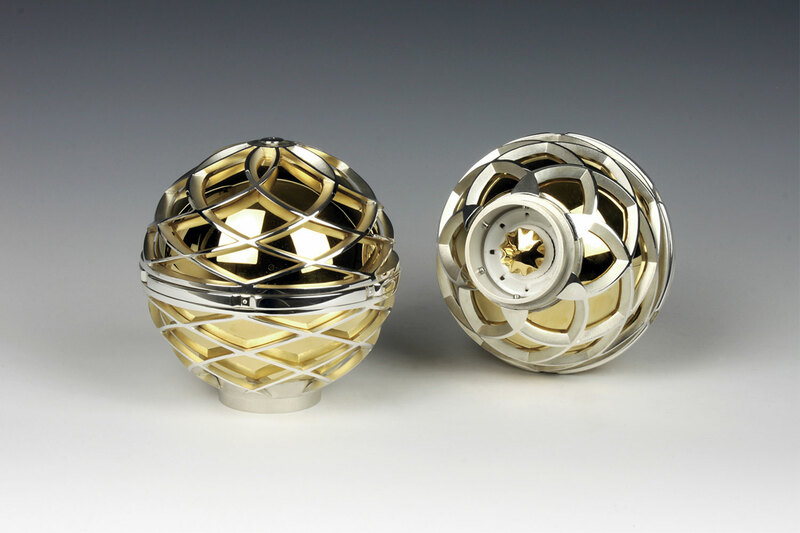 In recent years Ryan has completed a number of commissions for Royalty and has won several Craftsmanship & Design Awards for design, craftsmanship and innovation in technology, as well as the prestigious ‘Young Designer Silversmith of the Year Award’ and ‘Gil Packard Bursary’ presented by The Worshipful Company of Goldsmiths’, London. His work is on permanent display at the National Museum of Wales, William Shakespeare’ house New Place in Stratford-Upon-Avon, and St. Andrews Church Holborn. 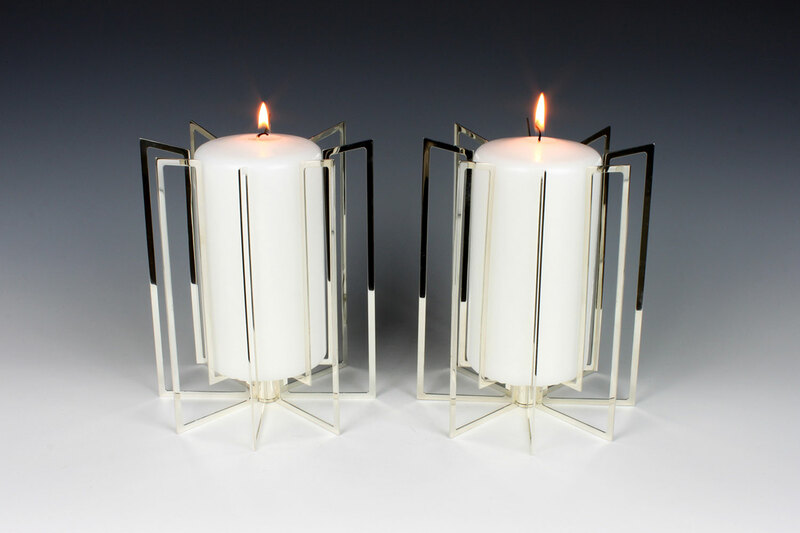 As well as having working in the Goldsmiths’ Company’s Modern Collection, his pieces have also been on show in London’s Victoria & Albert Museum and featured on Channel Four’s television show ‘Four Rooms’.